Get Approved for a Modular Home Loan or Refinancing! 1. You can generally get mortgages for RTM homes. Whether you want to live in it yourself or rent it out to tenants, you have options. Alternative lenders are more interested in the equity involved than your credit score or any other metric. 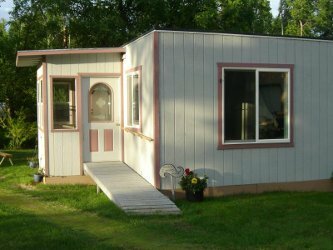 The amount of equity available in the manufactured home will generally drive the decision. For example, if you’re buying a $150,000 manufactured home and have $20,000 to put down, and also own land value at $100,000 in which the RTM will be secured. Once a new appraisal is completed the value of the RTM and land would likely come in at over $300,000. In simple theory you would begin your Manufactured Home Mortgage Loan with $150,000 in equity and increase it with each monthly payment. The manufactured home lender is concerned with what would happen if you went into default and the house had to be sold. In that instance, the appraisal would indicate whether having over $150,000 in equity; therefore a very secure investment for a private lender. 2. Alternative lenders have more flexible amortization options than traditional lenders. In some cases you can get an interest only manufactured mortgage home loan while you either save up the rest of the balance to pay the loan off at the term, or you can amortize the home for up to 30 and even 35 years. 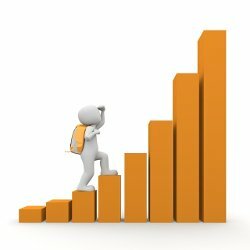 Obviously, you’re paying a lot more over time because of the added interest expense, but if you can take advantage of prepayment privileges that some lenders offer, you will end up ahead of the game. 3. How to put your manufactured home up in a rural community. If you’re looking at putting your manufactured home up in a rural community, be aware that most alternative lenders require an LTV ratio of 55% to 65% depending on location, although in some cases it can go as high as 70%. 4. What if you already own the land? If you already own the land and just want to buy the home itself, Amansad Financial has some connections to lenders who will simply provide a cash take out on the land to be used to purchase the RTM. Again, equity is the driving force in such a decision. Amansad Financial has built relationships with a number of lenders who finance RTM home purchases. Give one of our alternative financing specialists a call, and we can connect you with the best lender for your situation. There are some advantages to building an RTM manufactured homes rather than having a site-built home built on your land. 1. RTM manufactured homes come with a controlled environment, keeping the costs of construction down. 2. RTM manufactured homes generally come with one service contact, so no matter what your question is, you only need to call one service representative instead of dealing with an electrician, a painter, a plumber and so on. 3. RTM manufactured homes take much less time to build, between four and six months, as opposed to the minimum of nine months for a site-built home. 4. RTM manufactured homes are made within a controlled environment. That means that costs are predictable and quality control is consistent. There are generally far fewer surprises with RTM construction than there are with site-built construction.